Less than a day ago Oppo outed its first official teaser for the next smartphone it's going to launch. Back then we only knew the device's name, which is F1s. This obviously made us think that it's going to be a slightly enhanced version of the F1 that's been available since January. 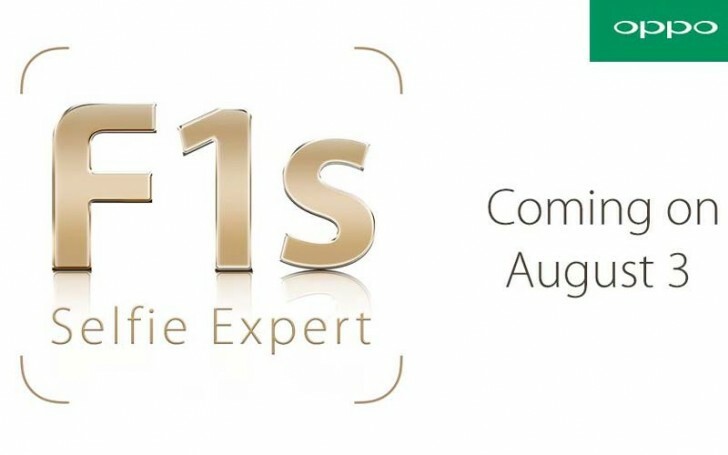 Now Oppo has put out another teaser image for the F1s (still not showing us the handset itself from any angle yet), and as you can see this contains an important bit of new information. It turns out that the Oppo F1s will be announced on August 3. Furthermore, it is being called a "selfie expert" by the Chinese company, just like the F1 before it. We assume this means we could see some improvements in the front-facing camera compared to that of its predecessor, but it's still unclear exactly what will be better this time around. Thanks for the tip, Kolman! it's phone is good loking and very nice parfomance.then bangladesh price how msth.